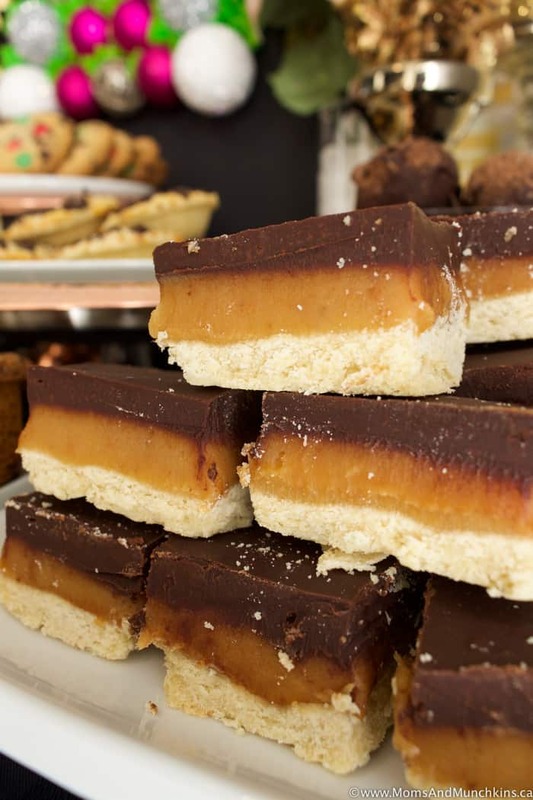 This Millionaires Shortbread dessert is, hands down, my absolute favorite dessert square recipe. 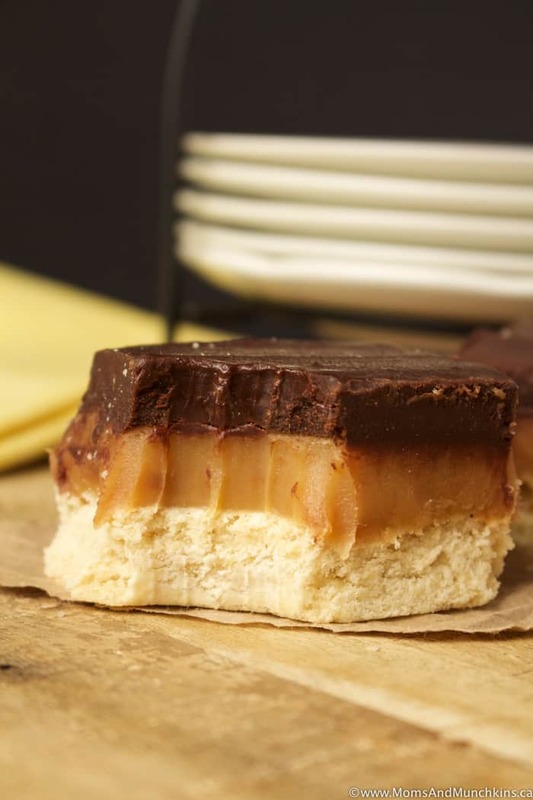 It has the perfect balance of shortbread, caramel and chocolate in every bite. These are great for a bake sale or for holiday baking tins…if you’re willing to share! I know the holidays are all about giving and togetherness but seriously guys, these are so good! If you do bake these to give away, keep a few hidden at the back of your freezer for your own midnight snack. Don’t worry, it will be our secret. I keep my Millionaires Shortbread in the freezer. The caramel layer doesn’t freeze and the chocolate doesn’t get too hard to bite through…or I just have super strong teeth! This doesn’t have to stay in the freezer but it does at least have to stay in the fridge to keep cool or you’ll end up with a gooey mess. There are a few steps in this recipe but it's still an easy recipe to make. Well worth the extra effort, I promise! Line a 13" x 9" baking pan with parchment paper. Set aside. Add both granulated sugar and light brown sugar to butter and beat until fluffy. Add egg and vanilla to butter mixture and beat just until mixed. Combine salt with flour then gradually beat it into the butter mixture just until mixed. Batter will be crumbly. Press batter evenly into pan. Bake 20-25 minutes (until edges are starting to look lightly browned). 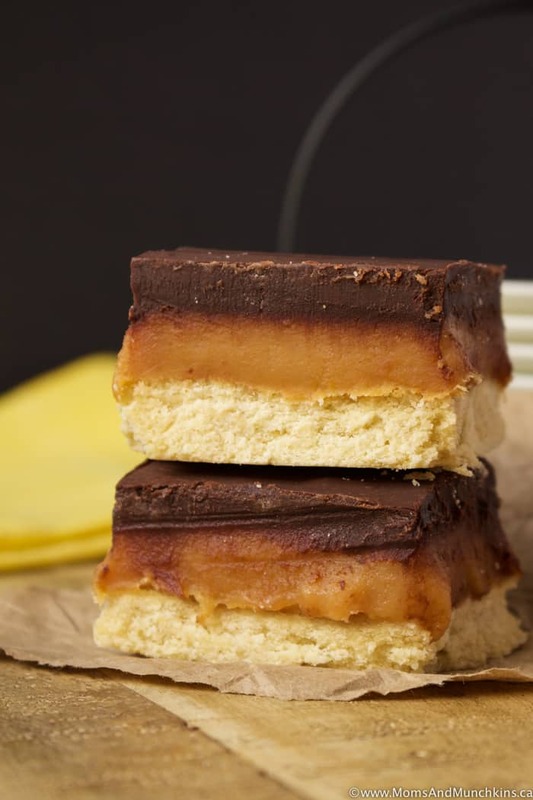 Set aside to cool a bit while you make the caramel layer. In a large saucepan, combine sweetened condensed milk, butter, brown sugar, and corn syrup. Heat on stovetop, over medium heat, until mixture comes to a boil. Stir constantly as this will burn easily. Reduce heat to low and let simmer for 10 minutes - still stirring constantly. Remove saucepan from heat then stir in vanilla and salt. Pour caramel evenly over shortbread crust. Place layers in the fridge to cool for 1 hour before topping with chocolate. In a small saucepan over medium heat, stir together chocolate chips and heavy cream just until melted. Spread evenly over caramel layer. Let cool in fridge for at least two hours before cutting into squares. 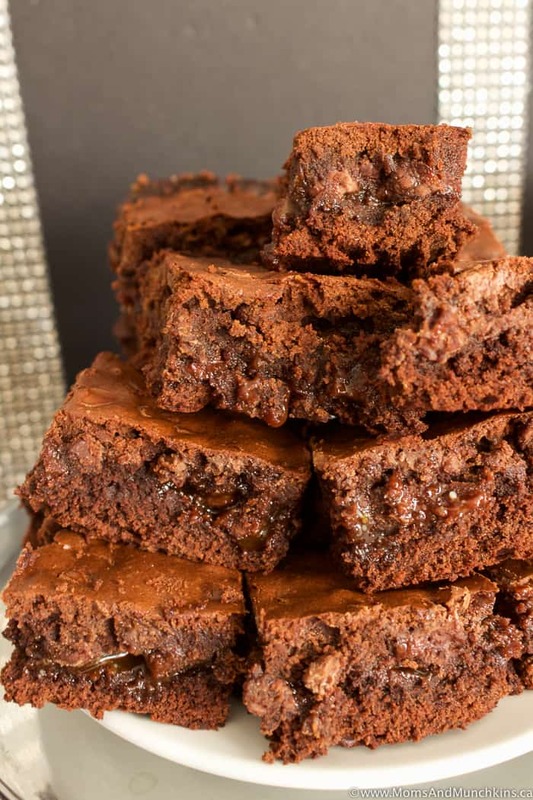 Chocolate Caramel Brownies – truly irresistible! 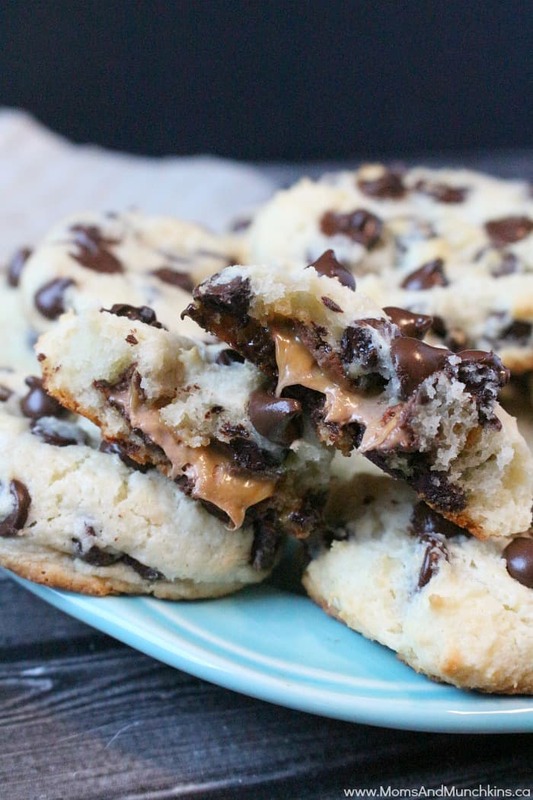 Chocolate Chip Caramel Cookies – a delicious cream cheese cookie with a surprise chocolate caramel middle. For more delicious dessert ideas, visit our Recipes page. Stay updated on the latest home entertaining ideas by following us on Facebook, Instagram, Twitter and Pinterest. This looks so decadent! My cousin has a baby shower coming up I think I will make these! They are sure to impress! I hope you enjoy them, Meg! These are one of my favourites!